Watch these free tutorials to learn how to get the best use out of the Premium eResources listed. On the bottom left of the page click on the "Demo Video" link. Use these resources in the library as a guest or from most internet connections with your library card. from Learning Express Library will help you get your job search into high gear. If you've never used the Learning Express resources or would just like a little help getting started, ask any of your friendly librarians for help or set up a free Personal Librarian Service (PLS) appointment with a librarian! 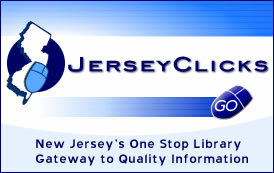 These databases are offered by the New Jersey State Library, the New Jersey Library Network, and funds from the Library Services and Technology Act. These high quality databases cover subjects such as health, history, business, education, science, current events, literature, and popular fiction. Please note you will need your library card number in order to access these eResources whether you are inside or outside the library.